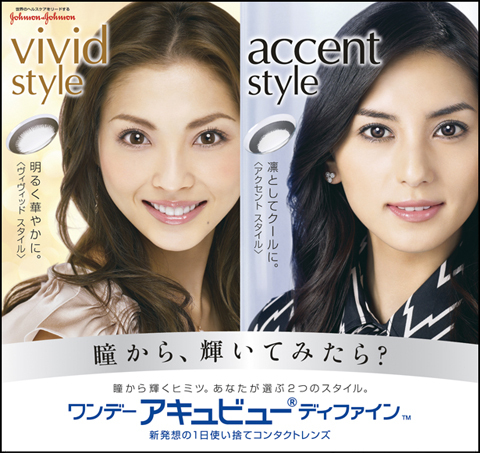 Acuvue Vivid Style has a brown ring with delicate brown spokes that enhance the natural pattern of the iris. Acuvue Accent Style has a dark limbal ring that enhances the iris for a more elegant look. Acuvue natural Shine style has a Natural dark grey limbal ring combined with a glittering gold shine enable your eyes to look bigger and more glamorous. With Acuvue Define Contacts you will get bigger, brighter and more beautiful eyes in a natural way and since it is design for daily use, you don't have to worry about cleaning solutions, lens care or lens cases. The lenses have UV Blocking technology to help protect your cornea and the interior part of the eye. Try The New GEO Princess MIMI Circle Lenses- Diameter 15mm !